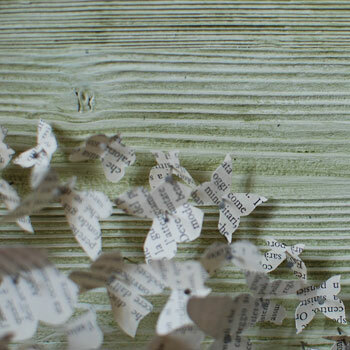 I live art as a search based on the Harmony and movement. 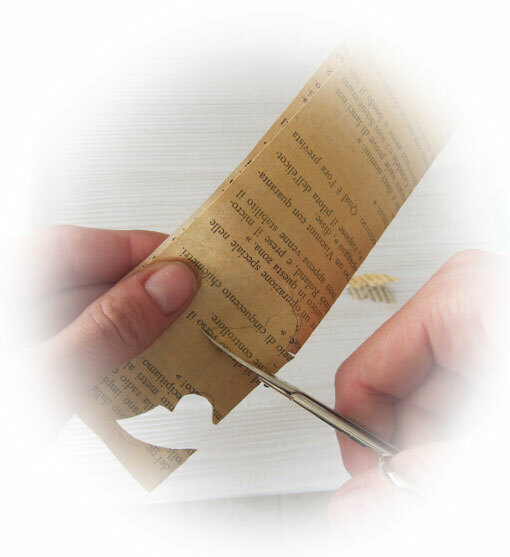 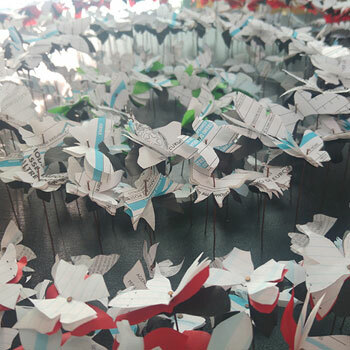 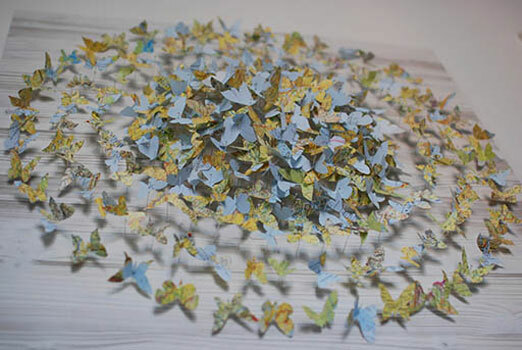 Butterflies come from recycled paper, sometimes from old forgotten books, coming back to life. 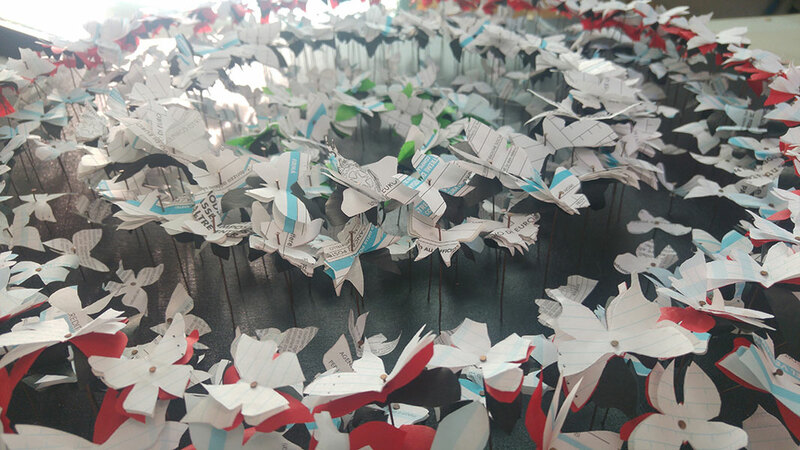 Each type of paper is different because requires particular attention during the processing and during the application to the support. 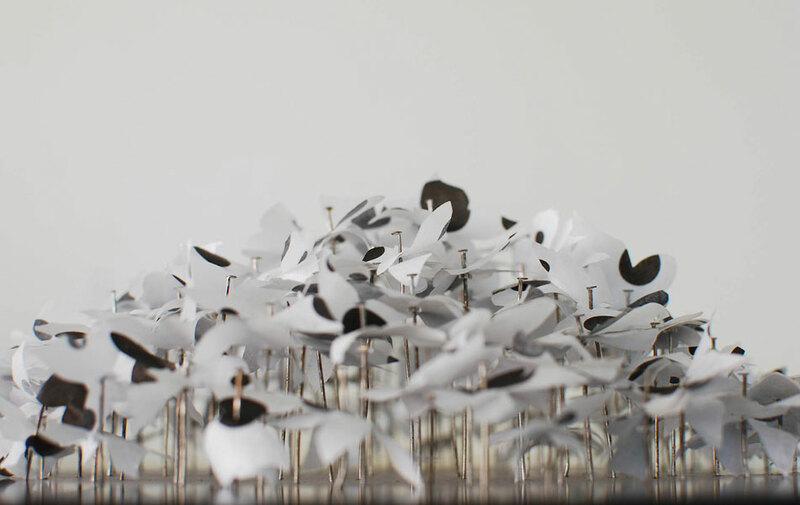 Supports are never the same and allow me always new variations. 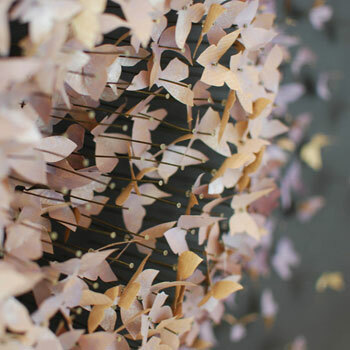 The transparency allows a dialogue between the work, the wall as well as the surrounding environment. 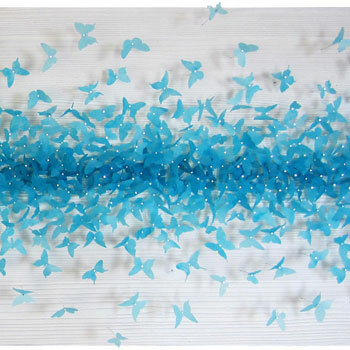 Whenever exposed to a breath of wind, butterflies become alive, singing an etherial noise that is part of the work. Shapes and colors are my alphabet. 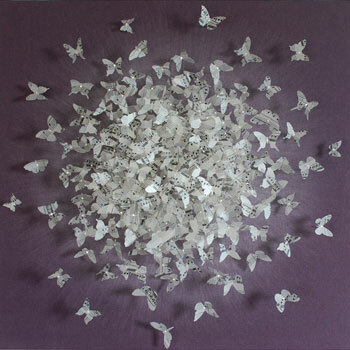 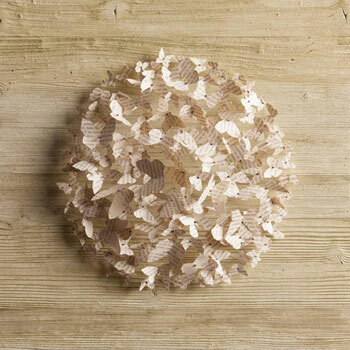 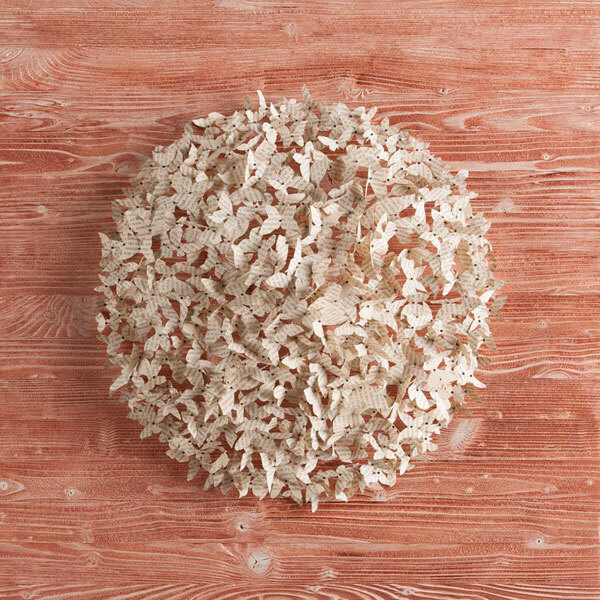 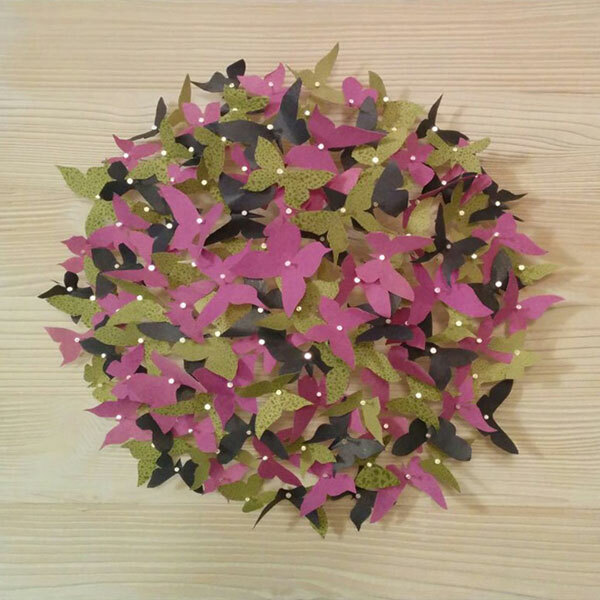 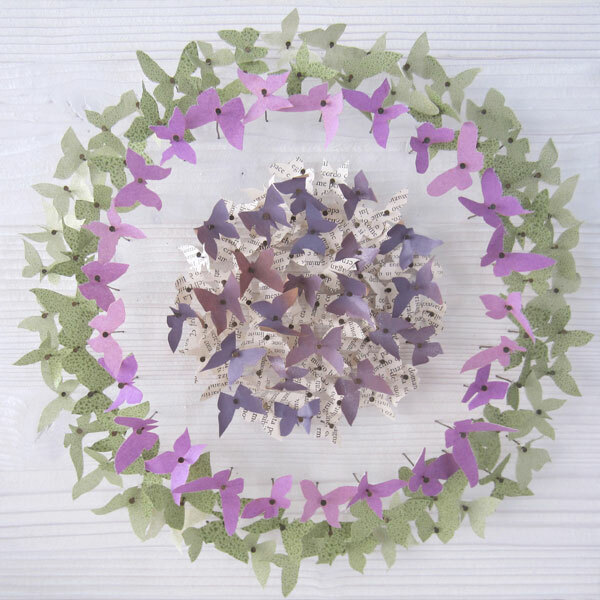 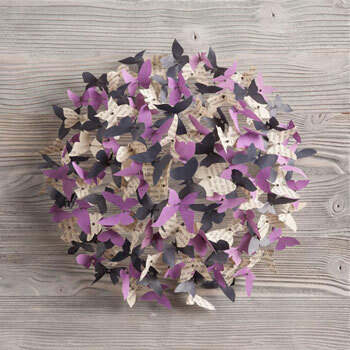 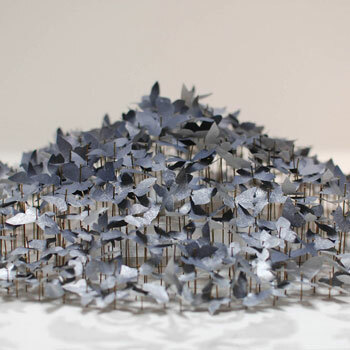 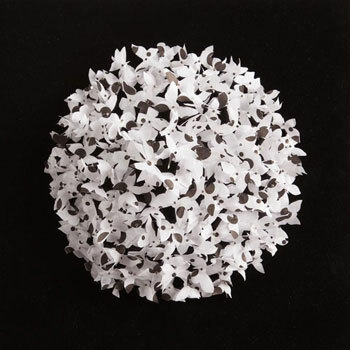 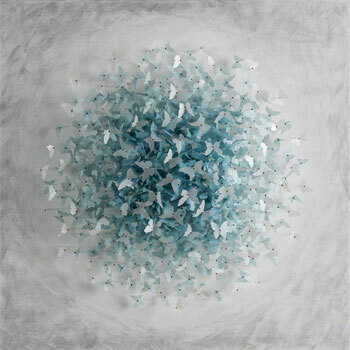 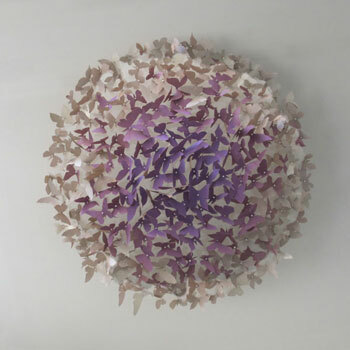 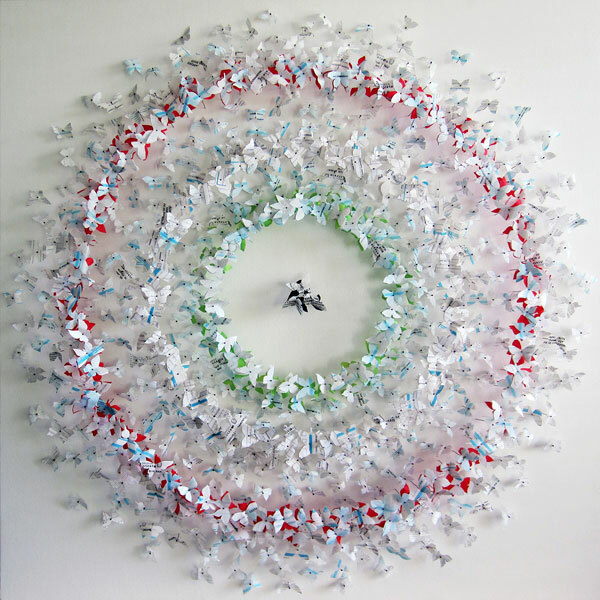 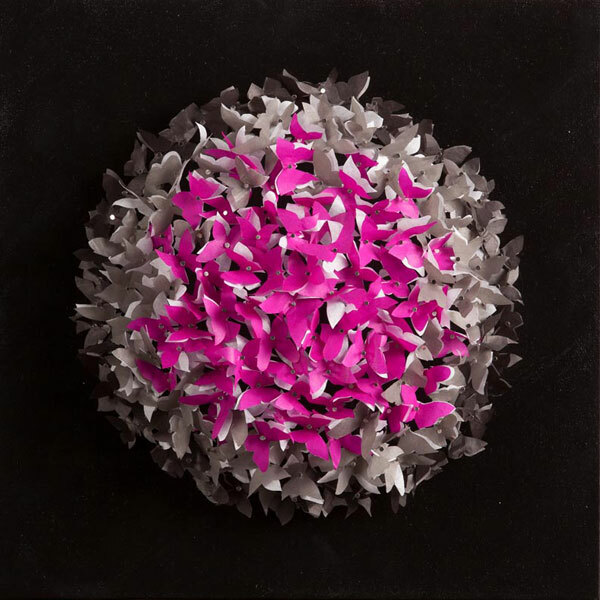 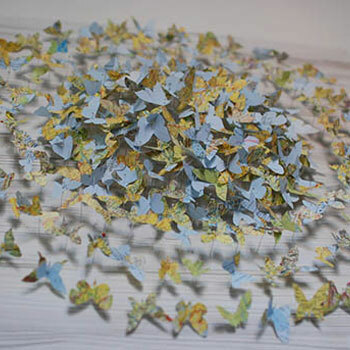 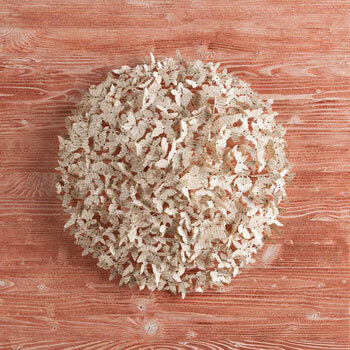 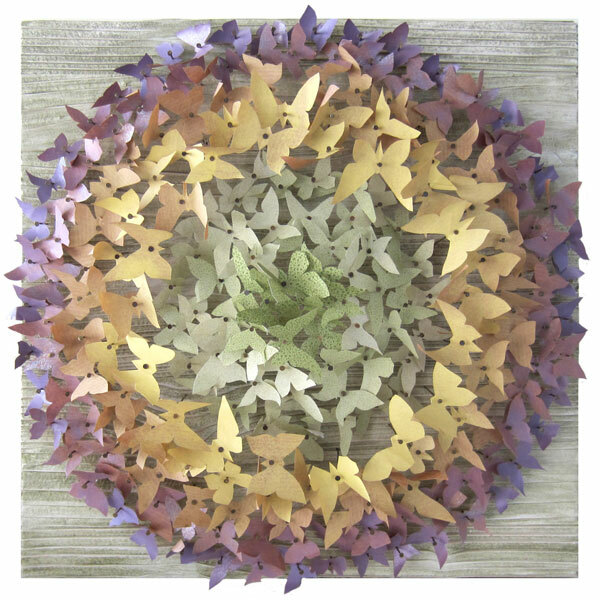 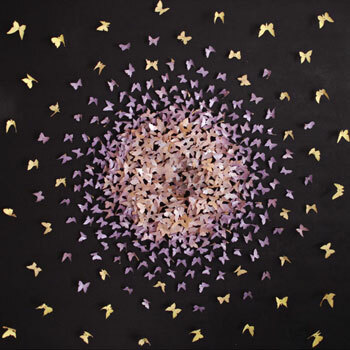 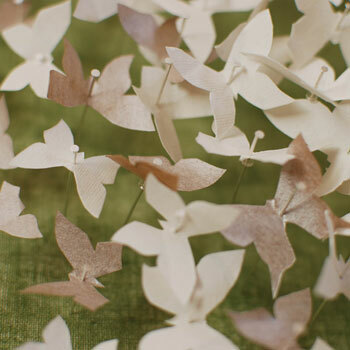 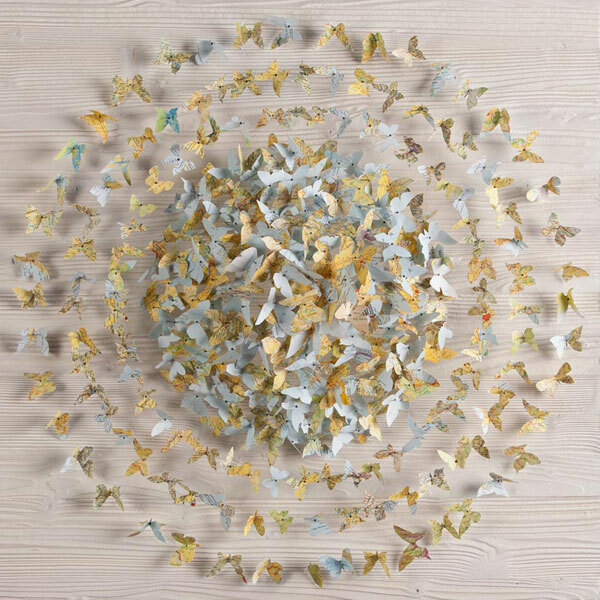 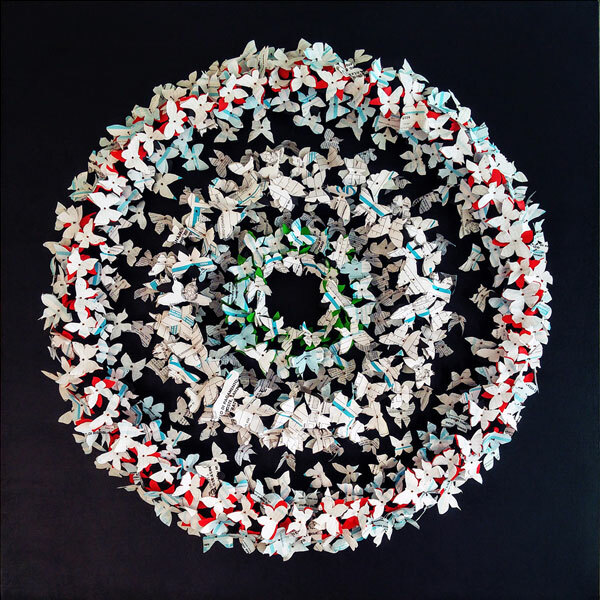 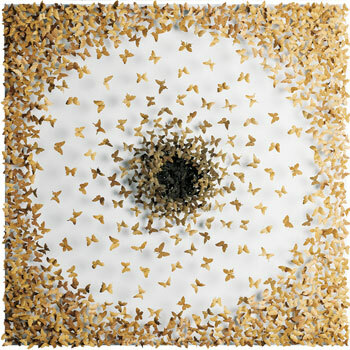 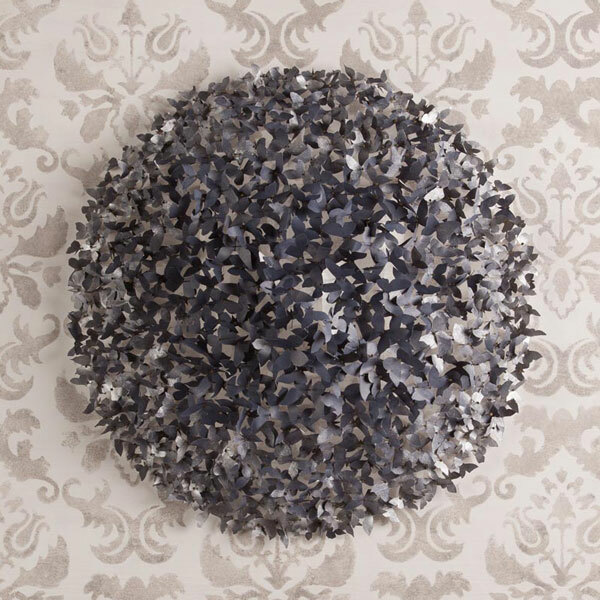 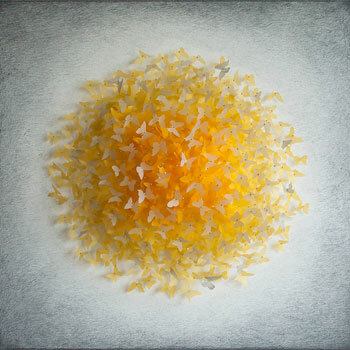 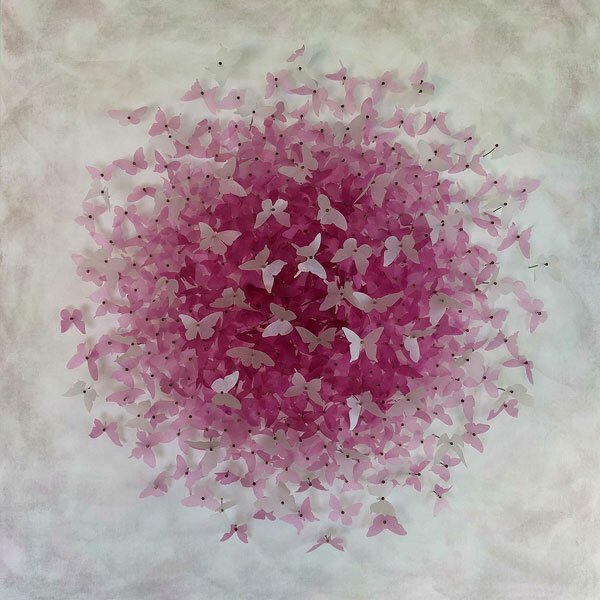 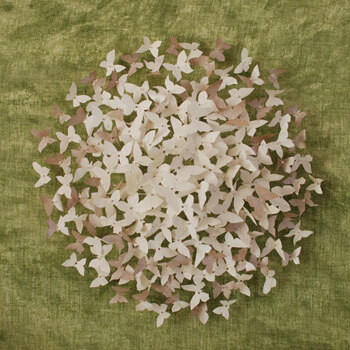 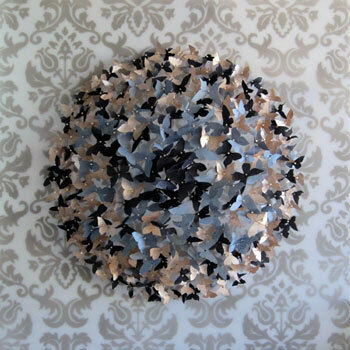 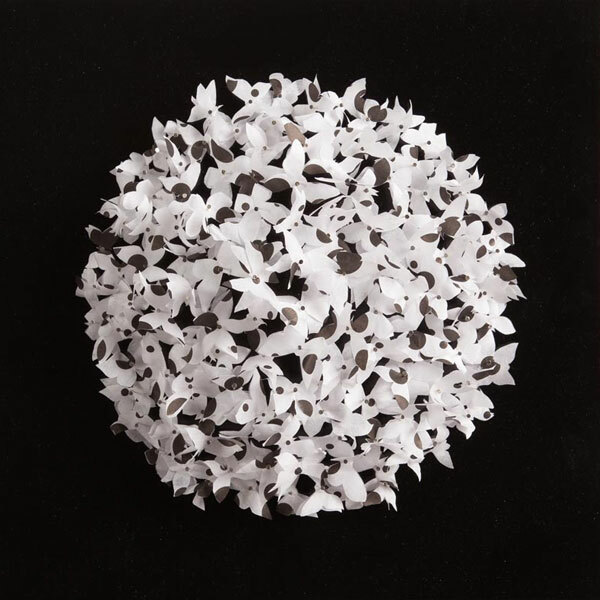 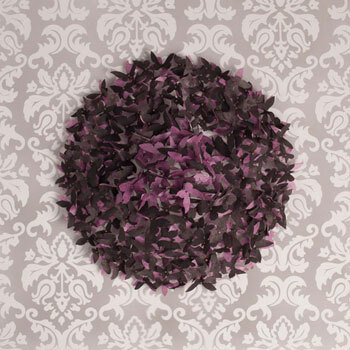 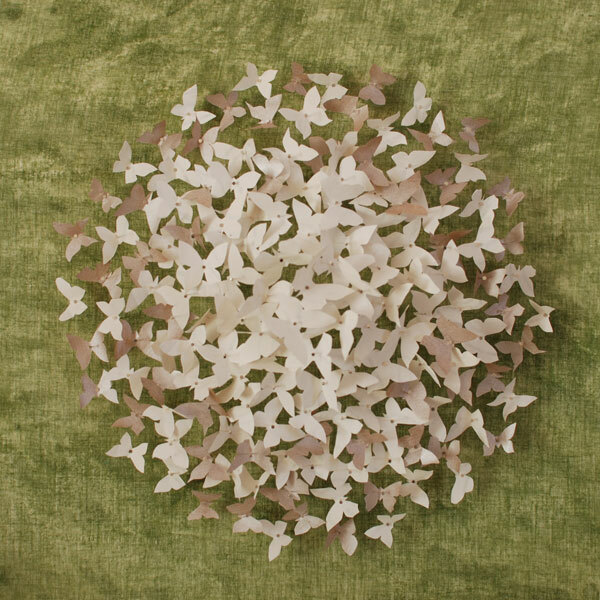 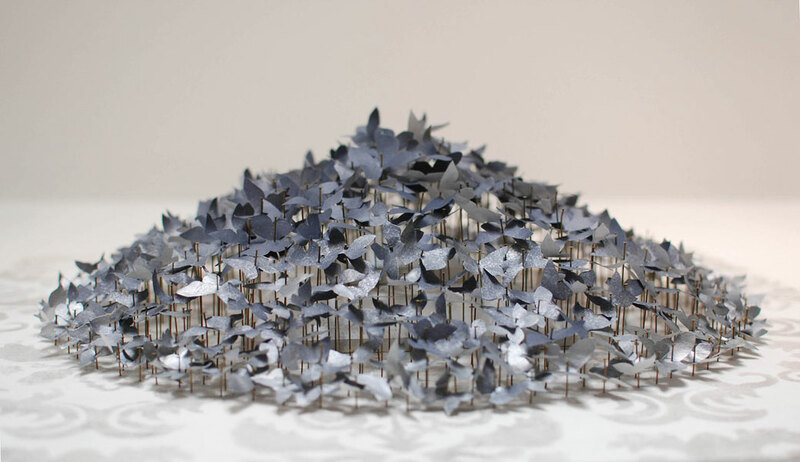 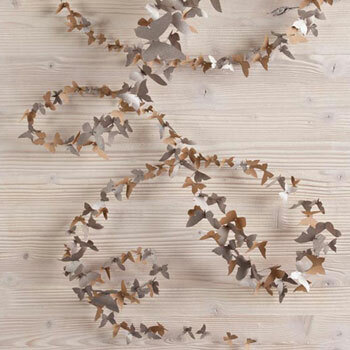 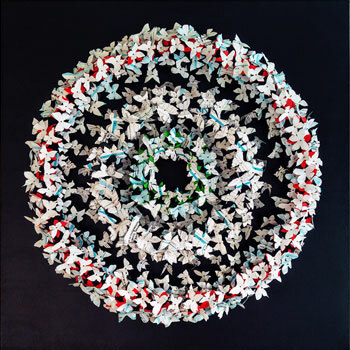 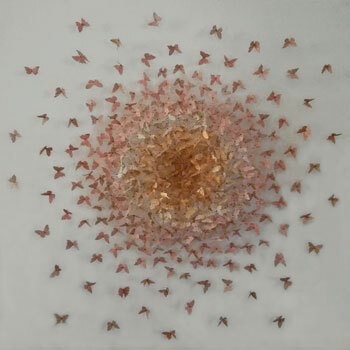 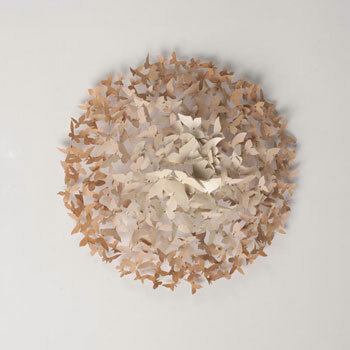 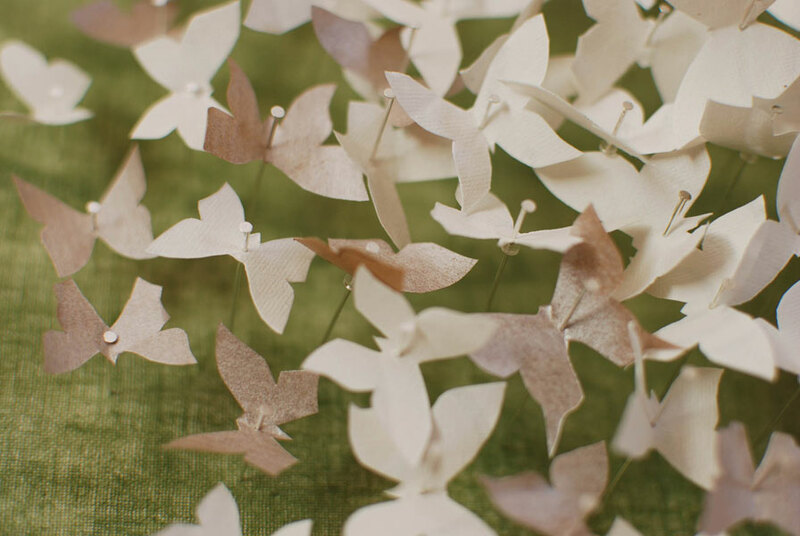 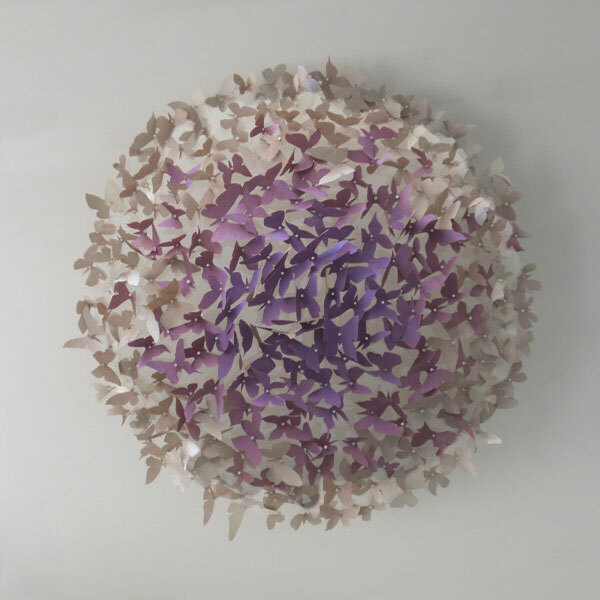 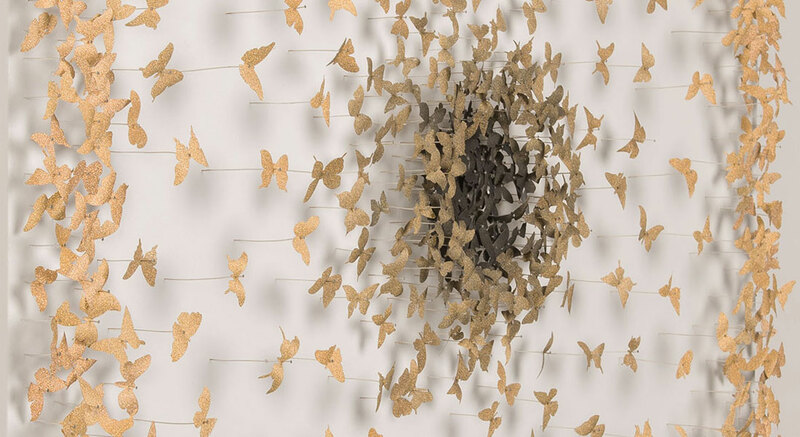 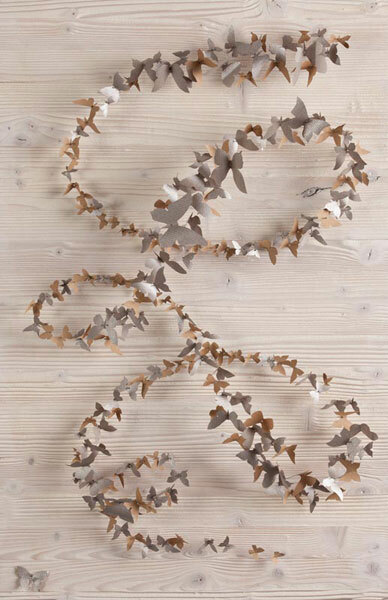 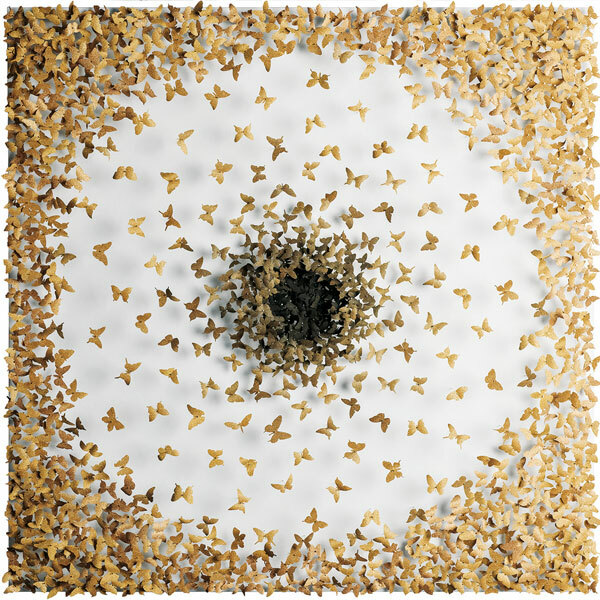 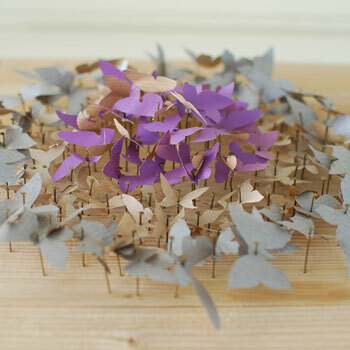 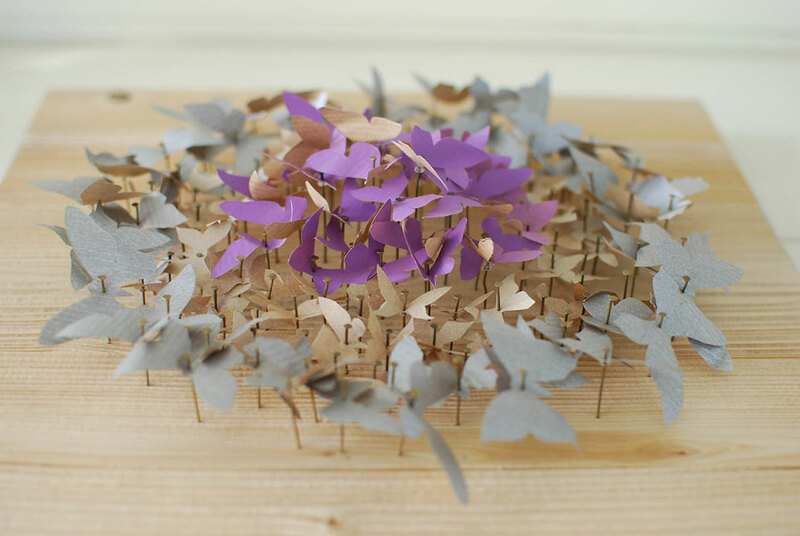 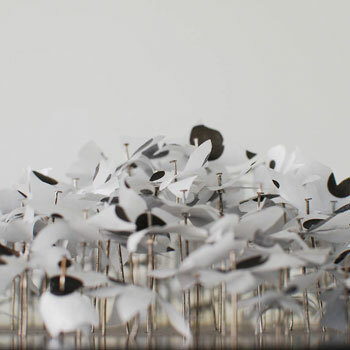 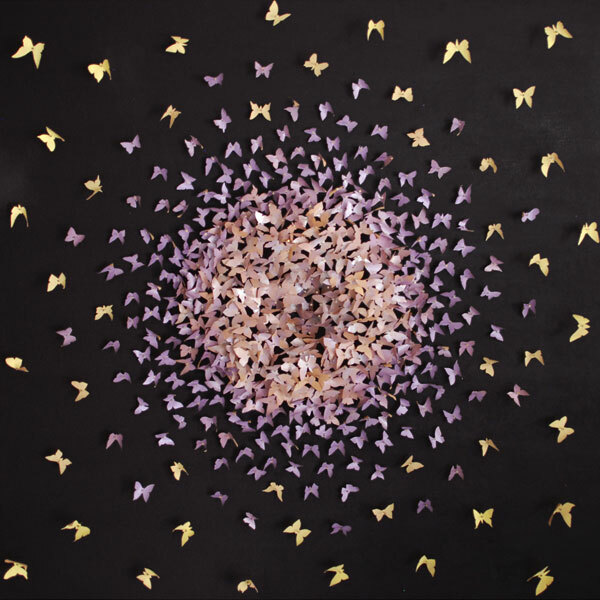 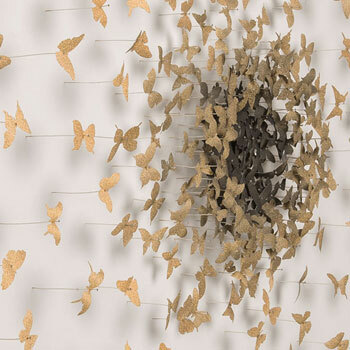 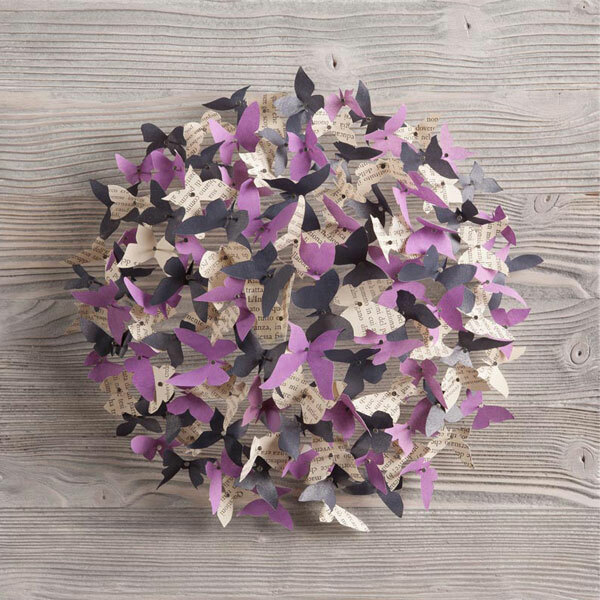 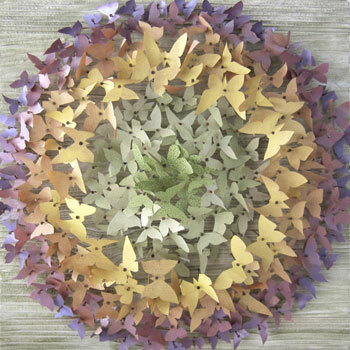 Butterflies, fragile and light, make up three-dimensional volumes. The sense of harmony is not only my ultimate goal, but it's also embedded within the process, the time and the space preparation in which I get lost during production: the hand-cutting of hundreds of shapes, materials processing and their bond together project me into a parallel dimension. 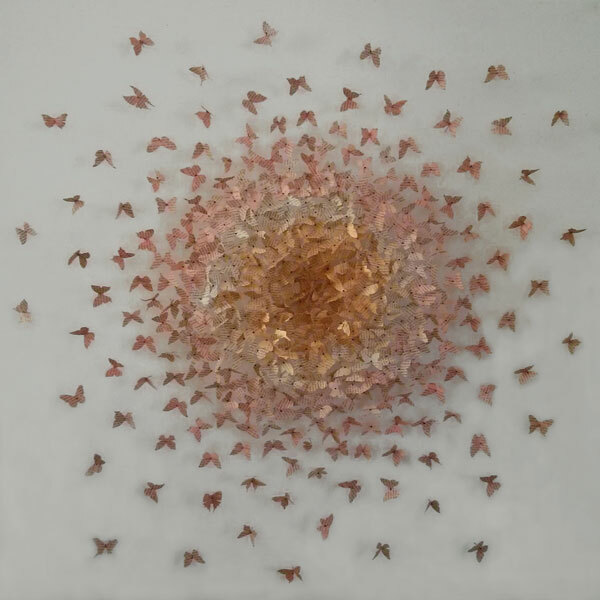 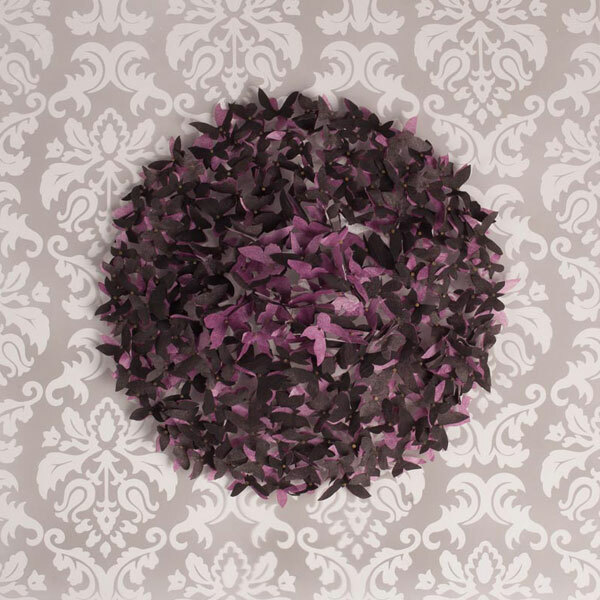 My works represents the encounter between my artistic and classical studies and artisan hands-on training, between emotions and rationality, between movement and stillness, free chaos and static rigor: discordant stages that all belong to me. "4° Concorso Giovani Talenti per Ferrara"
1° classificata Premio "Artist on tour"
The materials I use as support allow me several new variations. 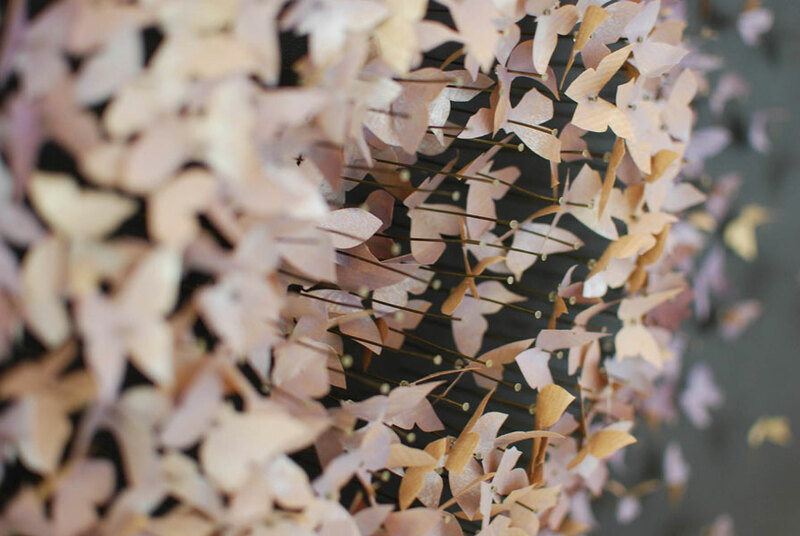 However initially I found in the wood, in its nodes, in veins and in natural light and shade, the vibrant background that best suited my language. 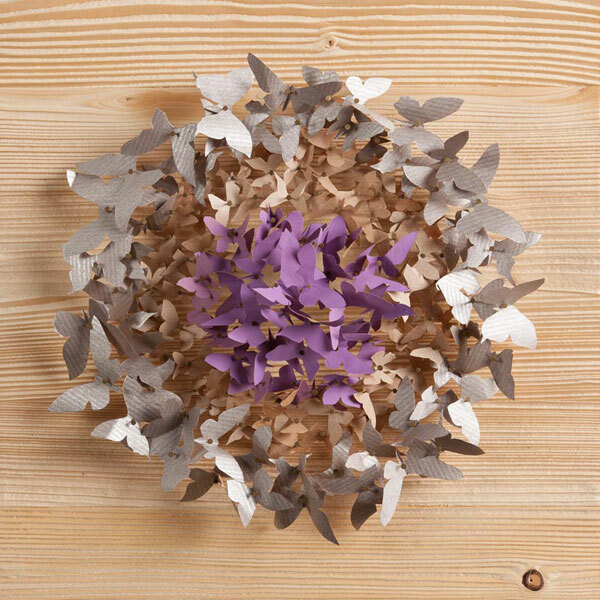 The materiality of the wood sometimes rough, sometimes enhanced by the color becomes the protagonist of the contrast between the randomness of the emerged veins and rigor of forms created by butterflies. The use of plexiglass, as an alternative to wood, allows me to neutralize the background, focusing attention exclusively on the composition, or to play with it through decorations. 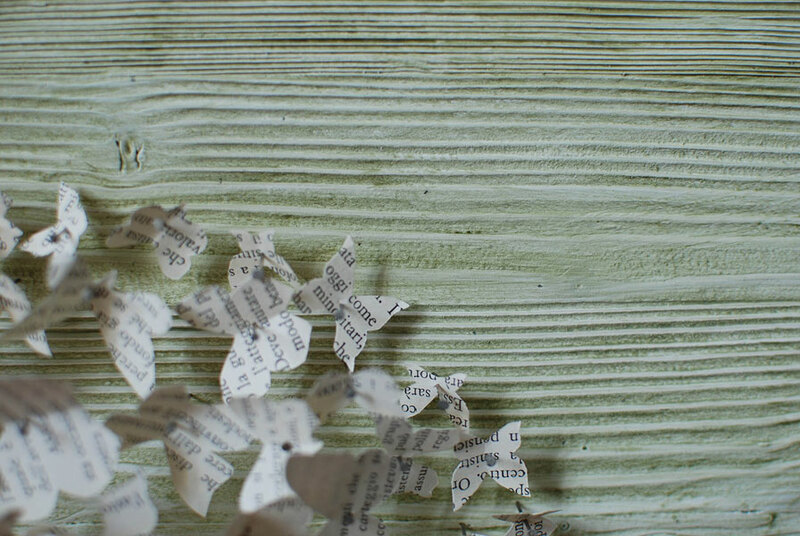 I realize works on commission. Contact me for information.